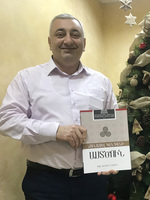 In partnership with Lahairoi Publishing House, HeartCry recently had the privilege of funding the translation and publication of the workbook Knowing the Living God by Paul Washer into the Armenian language. 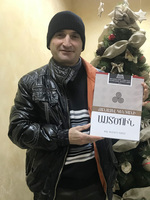 The books were then distributed to pastors, missionaries, and other Christian leaders throughout Armenia. It is only through the generous support of men and women across the globe that we are able facilitate projects such as this. We are so grateful to God, both for the role He has allowed us to play in the furtherance of His gospel and for the people whose prayerful and financial support He uses to aid us each and every day. Once a part of the former Soviet Union, Armenia is nation of about three million people and is located in the Caucasus Mountains of West Asia. Armenia’s population is about three million, but the number of Armenian-speaking people worldwide is more than double this number. This includes significant Armenian communities in Iran, Turkey, Russia, France, and the United States—about 170,000 people living in the metropolitan area of Los Angeles, California, speak Armenian as their first language. While we do not currently support any missionaries in Armenia, we are excited to be able to reach them by this means that the Lord has provided. Having seen the fruit the Lord has already produced through this book, HeartCry has agreed to fund the translation and publication of Discovering the Glorious Gospel (a workbook in the same series) as well as The Gospel’s Power and Message, both also by Paul Washer. We are additionally looking into potential opportunities to translate other works and authors into Armenian. Please pray for this—that the Lord would grant help in the translation process, that He would grant wisdom in the selection of which resources to translate, and that He would use these resources to spread His fame and to be of great benefit to His Church. As you will read below, Armenia serves as a strategic location for reaching the Middle East, so we are hopeful that the truths communicated in sound resources such as this literature ultimately leads to the furtherance of the gospel throughout Armenia and the surrounding region. In these next couple pages are some testimonies from some of the men who received a copy of Knowing the Living God. We were greatly encouraged by their words and wanted to share this blessing with you, so that you may also be encouraged and be spurred to pray for them as they continue the work which the Lord has entrusted to them. “Dear brothers, thank you for this great gift! The Armenian translation is wonderful; from the very first pages of this teaching, we felt the fear of the Lord. This book has really helped us to encounter God through His Word and has helped to develop our minds and strengthen our commitment to Him. We would love to have many more books and video teachings translated into Armenian. 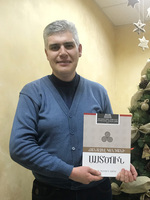 Thank you for your ministry and for providing this book to your brothers and sisters in Armenia.” – A.P. “Thank you for giving us the opportunity to have Knowing the Living God in our native language. The content of this book brings nourishment to us, as it presents the pure and holy Word of God. Here we are at work among our Iranian and Kurdish brothers. This book has helped us to deepen our knowledge, to establish basic biblical teachings in a deeper and more helpful way in ministry, and to bring more order in our theology. Thank God for you, and thank you for helping us to draw closer to the triune God!” – E.I. “Dear brothers in Christ, may our Lord bless you and strengthen you even more for this wonderful initiative. Finally, we have a book by Paul Washer in the Armenian language in our hands! Thank you, dear brothers, and may God bless you abundantly! Armenia is a nation which is commissioned to preach Christ the Lord and Savior to our neighboring Muslim nations. Books and sermons by Paul Washer will strongly establish us in biblical teachings, which will have positive influence on having productive mission work among Muslims. May God bless you and your ministry work abundantly!” – A.M.
“Dear brothers in Christ, thank our Lord for your efforts to get Knowing the Living God to your brothers and sisters. This is a powerful weapon for us Christians. It is impossible not to be filled with the fear of the Lord and a desire to know Him more after reading this book! When I received this work and read the names of all forty-eight chapters, I had a desire to read all of them in a day! I used this book like a hungry man; it has truly been spiritual nourishment for me. This is a book I will pass on to my children and use to train them.” – H.H. “When I studied Knowing the Living God, the Bible became a greater authority for me. It is very important for us to have such study materials at hand, as we work with professed Christians who know so little about the living and true God. Through their cultures, they have dealt with different gods, and sometimes they think that we are talking about something of that kind. Through such books, we can better present who is the true and righteous God! Thank you! Especially for us missionaries, it is very important to receive spiritual nourishment through books like this.” – M.A. “Over the last couple of years, I have grown tired of the ‘prosperity gospel’ messages. My spirit longed for something else. I wanted to know God not as so many people testified about Him or presented Him, but as the Holy Scriptures teach. Praise God for the Armenian translation of Knowing the Living God by Paul Washer! This book was like a school for me, explaining and revealing the living God on the basis of His Word. Thank God and my dear brothers and sisters for making this available for us!” – G.T.